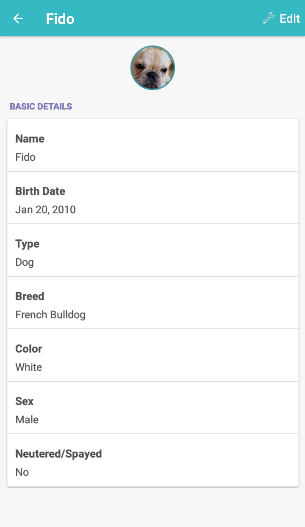 The "Pets" section of the app allows you to review and update all of your pets' information. You can also add new pets here. 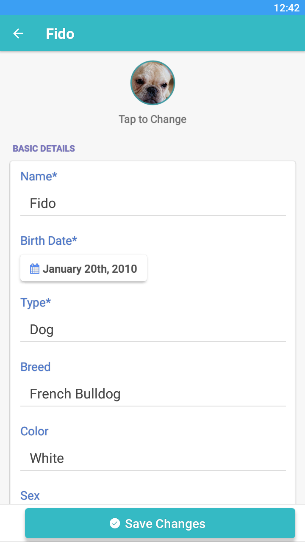 The "Pets" section can be accessed by clicking "Pets" on the homepage of the app. Keeping your pet information up to date helps your pet care company provide the best service possible. 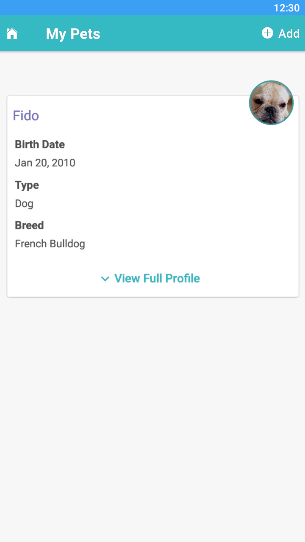 You can edit your pet information by selecting the "View Full Profile" for your pet and then clicking "Edit" on the top right of the next screen. After making changes, you can select the "Save Changes" button on the top or on the bottom of the screen. You can add a new pet to your account by selecting the "Add" button on the top right of the main Pets page. 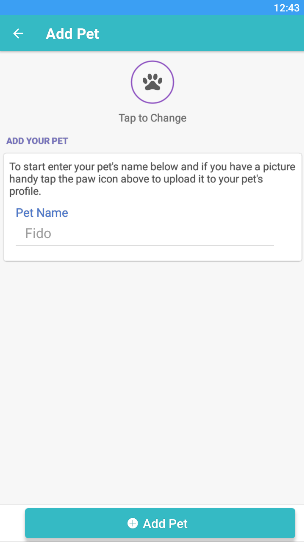 You can then enter your pet's name and optionally add a photo of your pet and then click the "Add Pet" button at the bottom of the screen. You will immediately be taken to the "Edit Pet" screen where you can complete the rest of the pet information profile.